NEW! GOLDBERG INDIAN HIBISCUS TONIC. 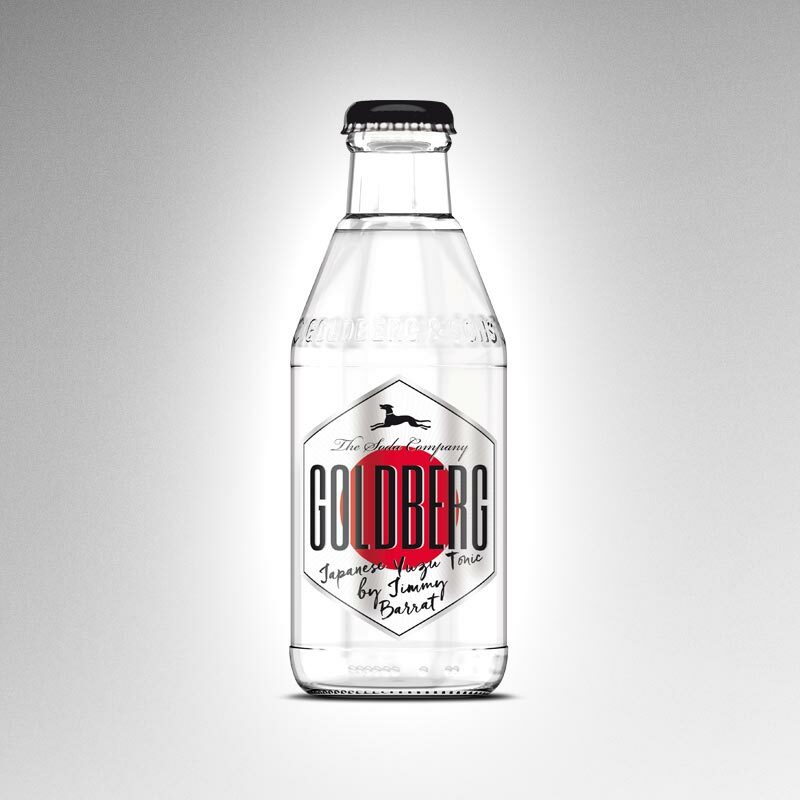 GOLDBERG INDIAN HIBISCUS TONIC IS OUR NEW PREMIUM FILLER WITH AN ENCHANTING FLORAL NOTE AND STRONG FRUIT NUANCES. A REAL WORLD FIRST! GOLDBERG IN CORPORATION WITH JIMMY BARRAT. 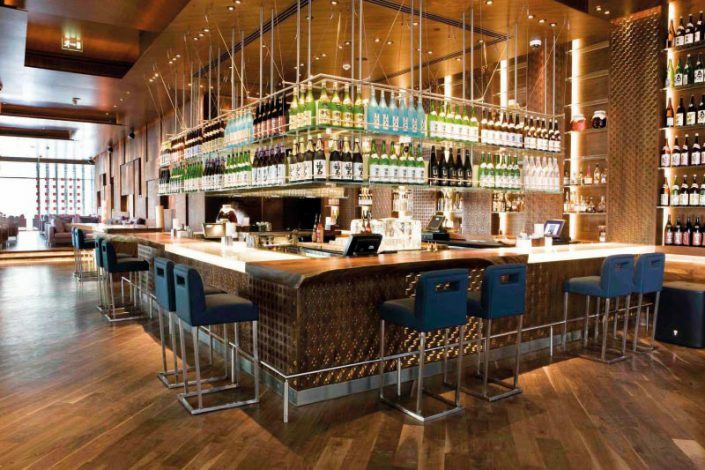 EFFICIENT, HIGH-QUALITY BAR TOOLS ROUND OFF A STYLISH GOLDBERG PERFORMANCE. GOLDBERG ESSENTIAL BAR EQUIPMENT PAVES THE WAY FOR PERFECT DRINKING PLEASURE. Bitter lemonades with an intensive taste – as exquisite fillers and interesting soft drinks – have been firm favourites with restaurateurs, bartenders and guests for many years. So GOLDBERG is abreast of the current trend. The wide and highly diverse range of flavours that GOLDBERG offers clearly distinguishes it from the rest. 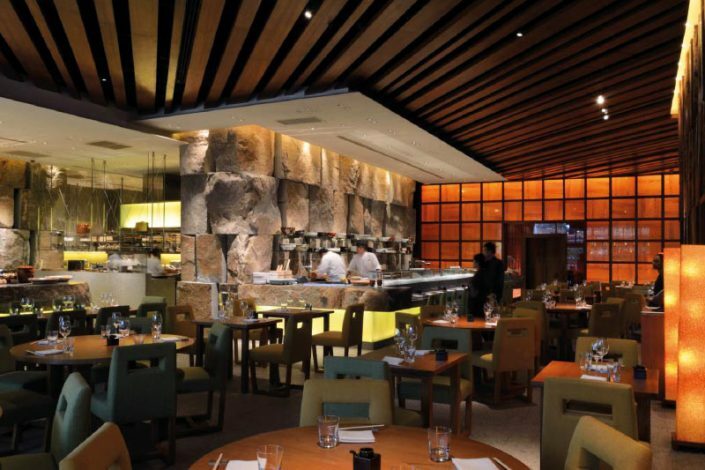 Each taste has its very own outstanding flavour profile and distinctive characteristics. The proof?  GOLDBERG not only turns a high-quality spirit into an exquisite experience, but also offers pure enjoyment when drunk on its own. GOLDBERG is the ideal complement to high-quality spirits. Complex and unusual flavours are enhanced and accentuated by the relatively high proportion of carbon dioxide. The result: completely new and subtle taste variations in combination with uncompromisingly high quality, and a personal taste superlative for every connoisseur. In the early 20th century, pharmaceutical entrepreneur Jacob M. Goldberg from Frankfurt wanted to combat tropical diseases with his medicinal drinks. He emigrated to northern india in pursuit of his goal, where the products he created soon found the approval of the british colonial rulers. What had once been tinctures pro- duced for medicinal purposes became refreshing soft drinks; in consequence, Jacob M. Goldberg redefined his business segment. Jacob M. Goldberg added carbon dioxide to his drinks to create ready-to-drink lemonade products which could be enjoyed on their own or mixed with spirits. 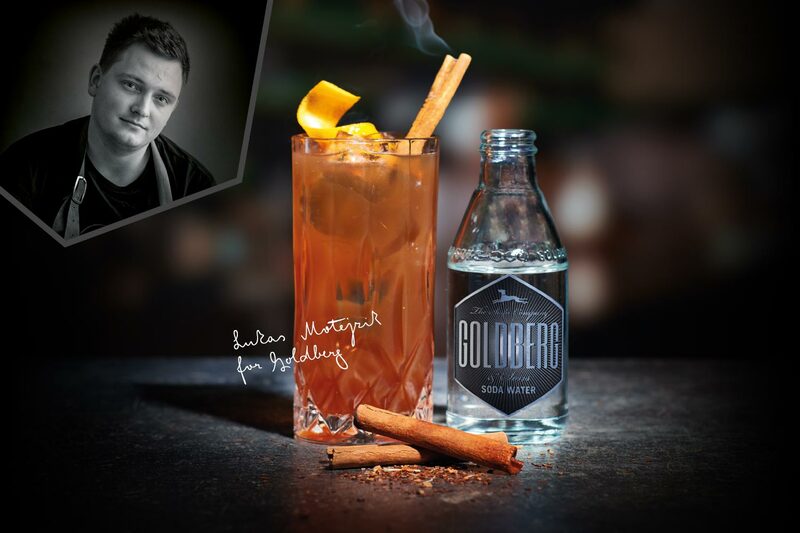 Seamen from the british royal navy blended GOLDBERG lemonades with their favourite spirit, gin, thereby creating a trendy drink that has remained ever-present on all good cocktail lists to this day. 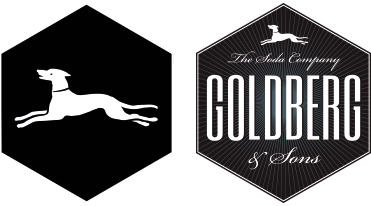 Jacob M. Goldberg chose a hunting dog as his trade mark, symbolising fidelity, speed and high performance. He also always applied his self-imposed promise of loyalty to the service of his consumers. 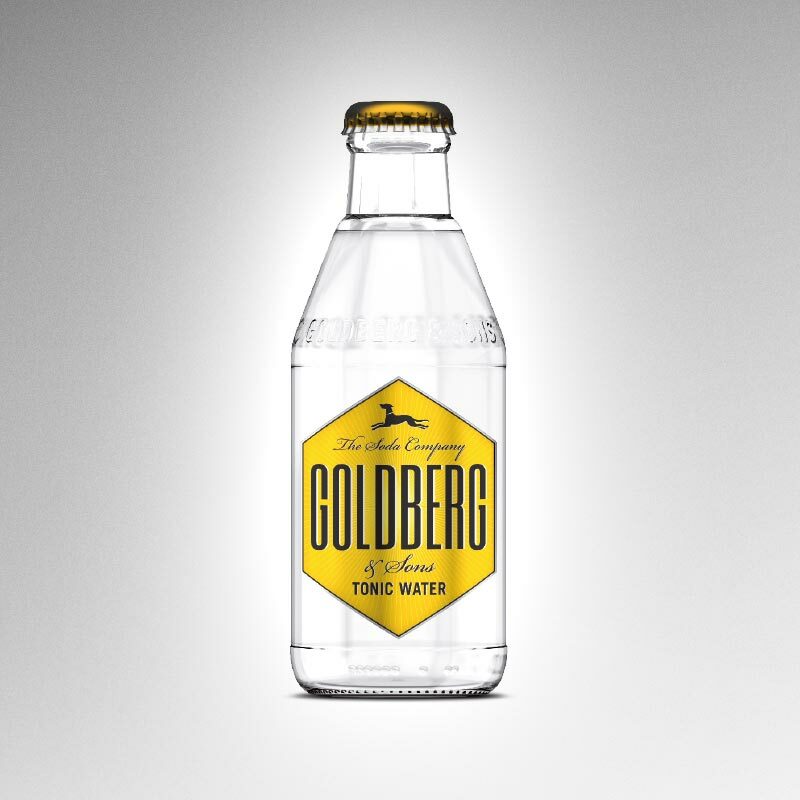 GOLDBERG tonic water stands for an unexpectedly intensive taste experience. Via a fine nuance of fresh lemon, it´s subtle sweetness develops into a suprisingly bitter, mature finish. 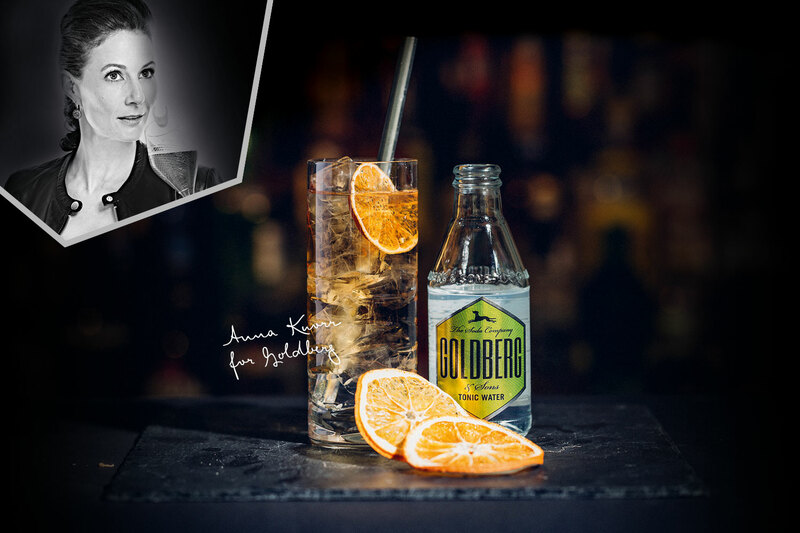 GOLDBERG TONIC WATER derives its perfect refreshing character from natural quinine, fresh fruit flavours and a high carbon dioxide content, making it the perfect complement to a fine spirit. The flavour of GOLBERG BONE-DRY TONIC is based on the classic tonic taste, but BONE-DRY offers a new dimension by its unique balance of reduced sweetness and characteristic bitterness. An intensive taste experience with a forceful character that harmonises perfectly with any high-calibre gin. Equally suitable for classic recipes or exciting experimental creations. 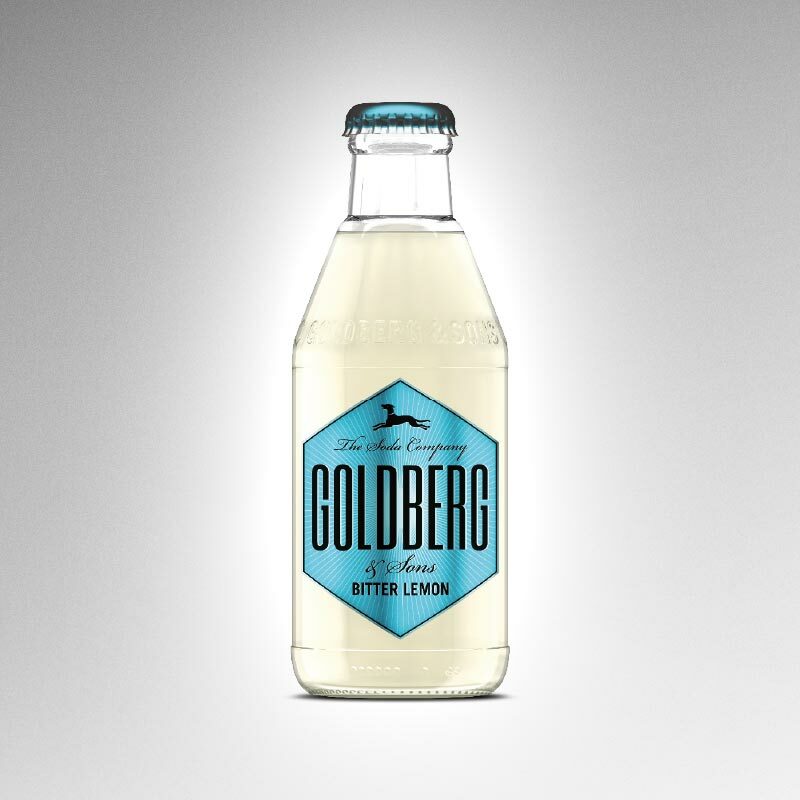 GOLDBERG BITTER LEMON unites the natural freshness of lemons and oranges with the in-tensive bitterness of real quinine. 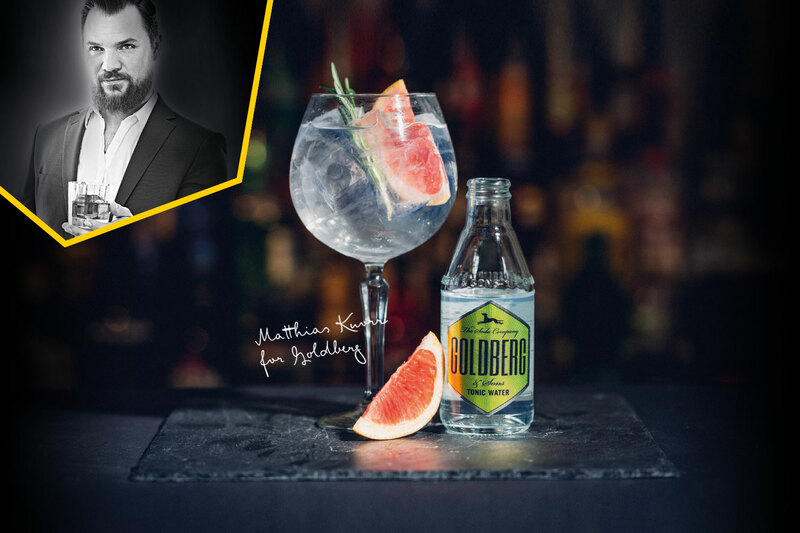 The exciting sparkle of the finely balanced carbon dioxide enables this unusual drink to develop its full potential and turns GOLDBERG BITTER LEMON into a sensual experience. 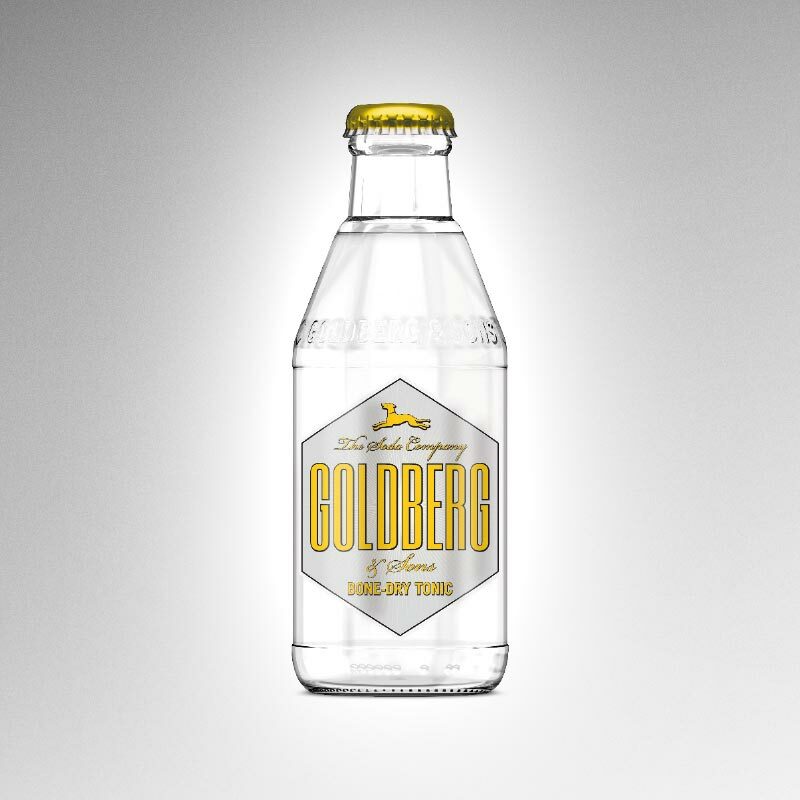 A tasteful trinity of fresh lemon and orange flavours combined with the characteristic, finely balanced bitterness of quinine is the secret of the unmistakable taste of GOLDBERG BITTER LEMON. 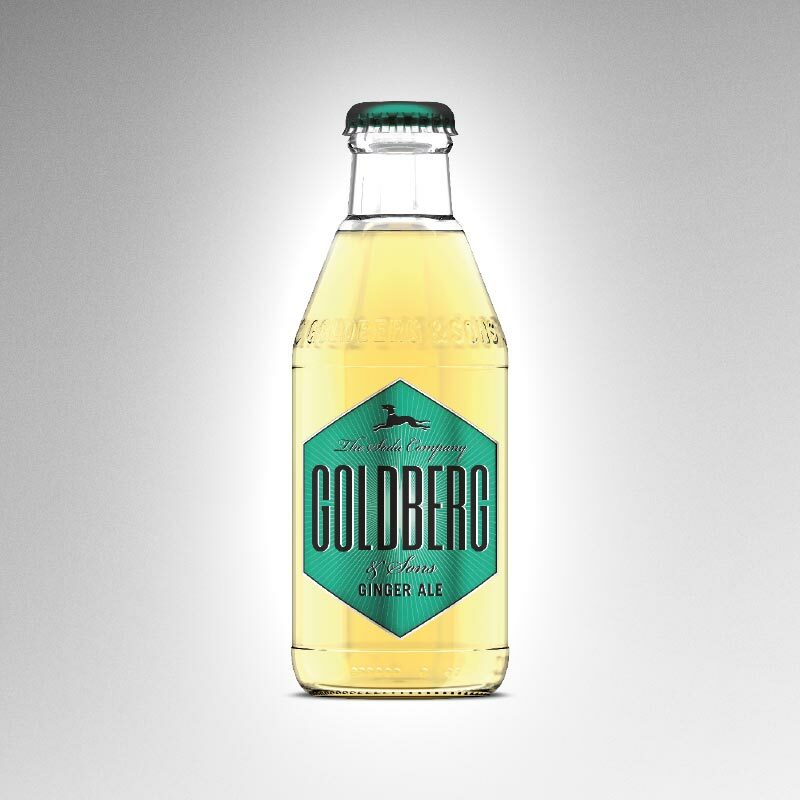 GOLDBERG GINGER ALE combines natural ingredients to provide an unusual, outstandingly clean and refreshing experience. It´s pulsating effervescence and spicy taste of fresh root ginger bring out the best of its diverse and subtle flavours, giving even a cognac summit a whole new modern brilliance. Gollowing the tradition of a classic ginger beer, GOLDBERG GINGER BEER brings out the full flavour and corresponding bite of root ginger. This intensive taste experience develops it´s full potential particularly well in combination with fresh ingredients such as limes, mint or cucumber, bringing a whole new meaning to a classic mule. GOLDBERG SODA WATER is a very neutral table water with a high carbon dioxide content and a balanced amount of sodium chloride. Connoisseurs appreciate this filler for it´s ability to subtly enhance nuances of flavour in a complex spirit. 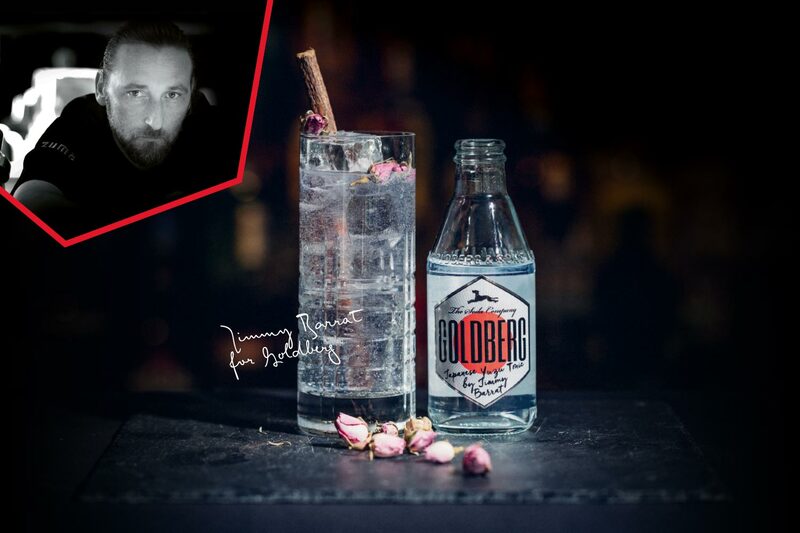 GOLDBERG SODA WATER harmonises perfectly with high-quality whisky, rum or gin and adds refinement to a classic highball like whisky & soda. GOLDBERG INDIAN HIBISCUS TONIC is a premium filler with the strength of real hibiscus. It has an enchanting floral note and strong fruit nuances. The distinctive flowery aroma forms an exciting contrast to many spirits, thereby opening up new, wide horizons for potential mixing possibilities. It´s hibiscus taste makes it ideal for the creation of trendy floral-themed drinks. GOLDBERG JAPANESE YUZU TONIC impresses with its finely balanced interplay between exotic fruit and complex bitterness. This unorthodox mixture helped exceptional mixologist Jimmy Barrat to fulfil a dream. 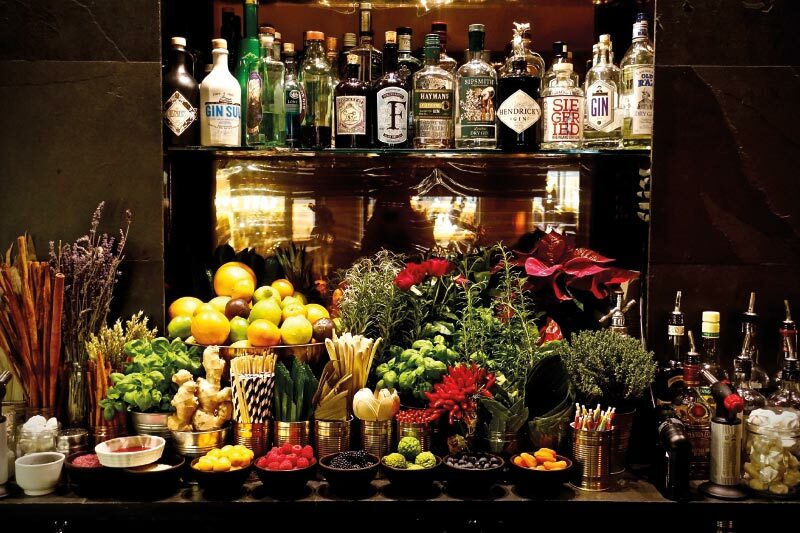 A genuine taste revelation for anyone who strives for perfection behind the bar and truly wants to rediscover tonic. 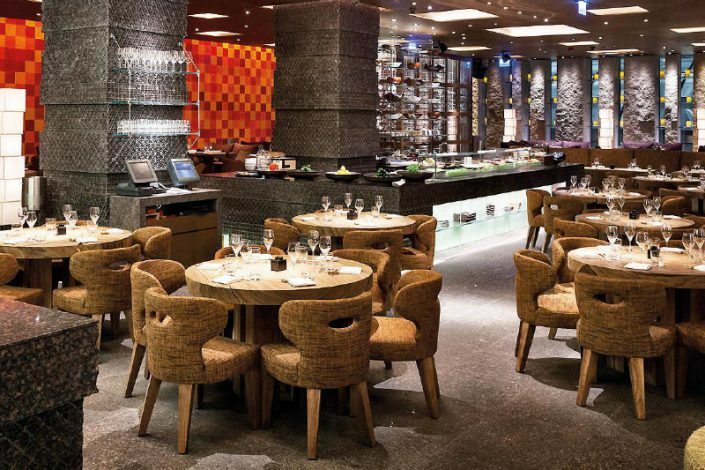 Matthias Knorr is the owner and manager of the Munich bar-keeping school Barschule Munich. 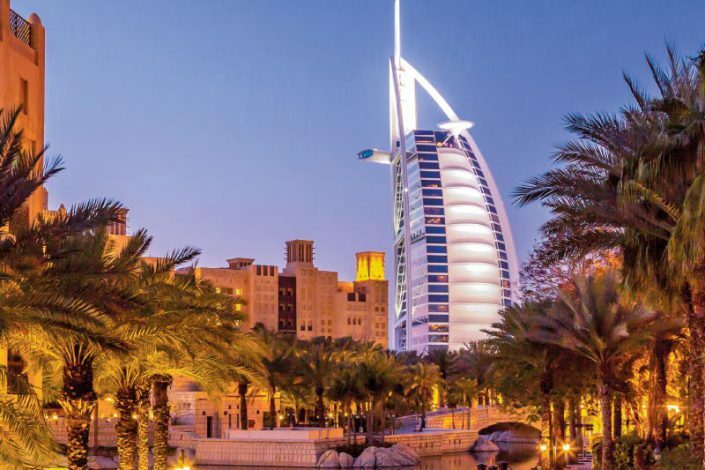 Besides his work as a teacher, his achievements include several German Flair Bartending Championship titles, a Flair World Championship and an entry in the Guinness Book of Records. Mix all ingredients in a goblet filled with ice, stir gently and top up with GOLDBERG TONIC WATER. Garnish with a wedges of a fresh pink grapfruit. Anna Knorr is an instructor at the Barschule Munich. The highly qualified, award-winning teacher has a wealth of diverse international experience and a huge store of specialist knowledge, without which she could certainly not have been six-time German Flair Bartending Champion and FBA World Pro Tour Champion. Put 5 cl of cream sherry into a long drink glass and top up with GOLDBERG TONIC WATER. Garnish with a slice of dried orange. 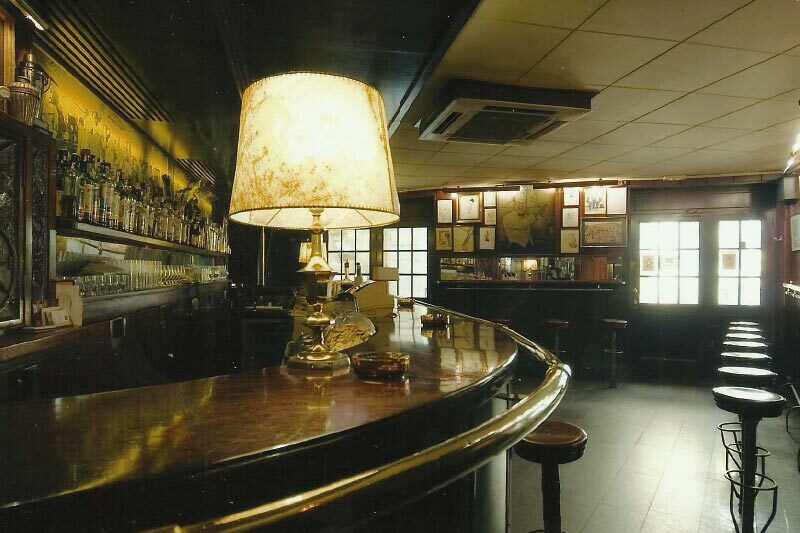 Oscar Quagliarini International bar skills: Grazie Paris, Juleps New York Bar, Milan. Student under Italian bar luminary and author Ezio Falconi. The New Way of Tending Bar Ichigo Ichie with Stanislav Vadrna. Master of Genever of the Bols Academy with Rob Radermark and therefore passionate about unique tonics. Put 5 cl Vermouth Bianco in a long-drink glass filled with ice and top up with GOLDBERG BONE-DRY TONIC. Garnish with a sprig of rosemary and apply a gentle flame so that the aromatic vapour can diffuse over the drink. 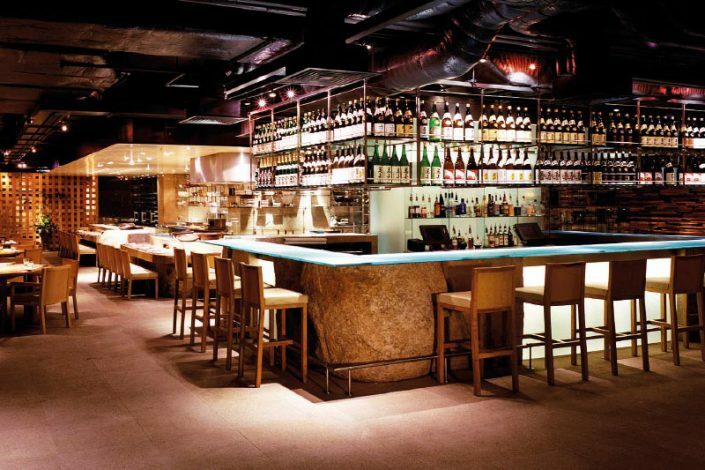 Volker Seibert represents 25 years of experience behind the bar. 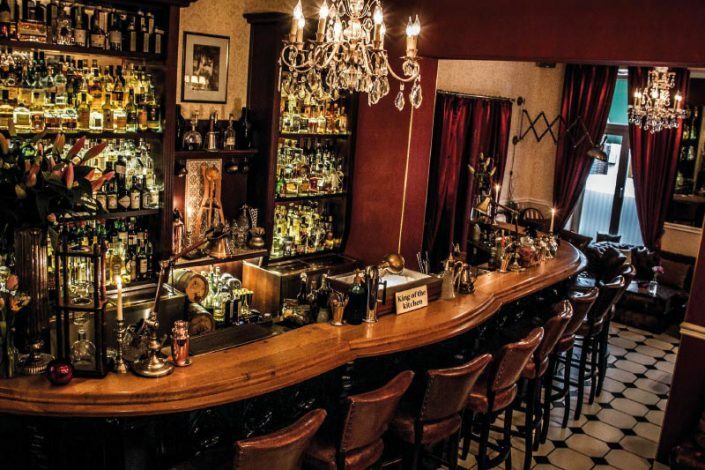 The bartender and award-winning mixologist, with his own excellent bar, is an alchemist always on the lookout for new ideas and creations. That makes him an the ideal partner for the unusual tastes from GOLDBERG & Sons. Put one litre of vodka in a large storage jar with three punnets of fresh raspberries. allow to infuse for 2-3 weeks, then decant the vodka into a bottle, discarding the raspberries. Place three ice cubes in a sweet wine glass, add raspberry vodka and top up with GOLDBERG BITTER LEMON. Put two fresh raspberries on a stirrer, sprinkle with icing sugar and add to glass with a spearmint tip. 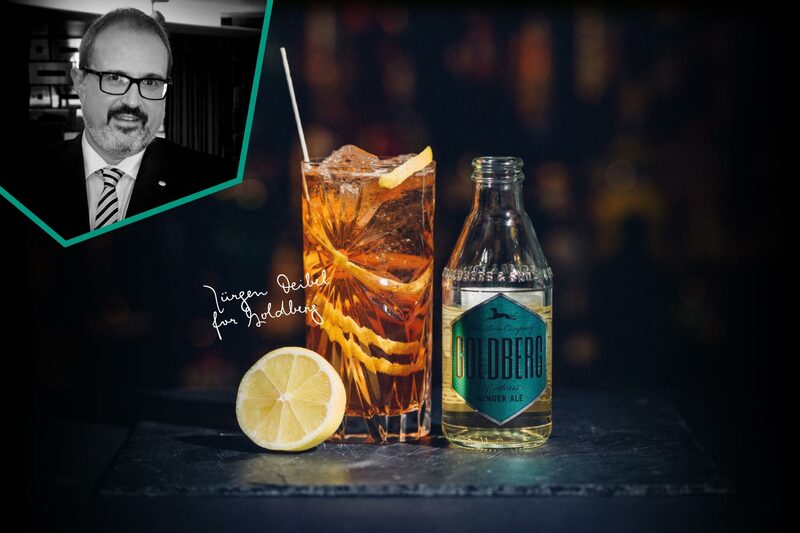 Jürgen Deibel is one of the most respected international spirits experts. He is the world’s first “Cognac BNIC Educator”, Honorary President of the 1st Scotch Whisky Museums and “Keeper of the Quaich”. The spirit guru, whose career started 30 years ago, writes articles for almost all reputable specialist journals, and he is a book author. Stir all ingredients gently in a tumbler filled with ice. Top up with GOLDBERG GINGER ALE, and finally sprinkle the drink with the essential oils from the lemon peel. 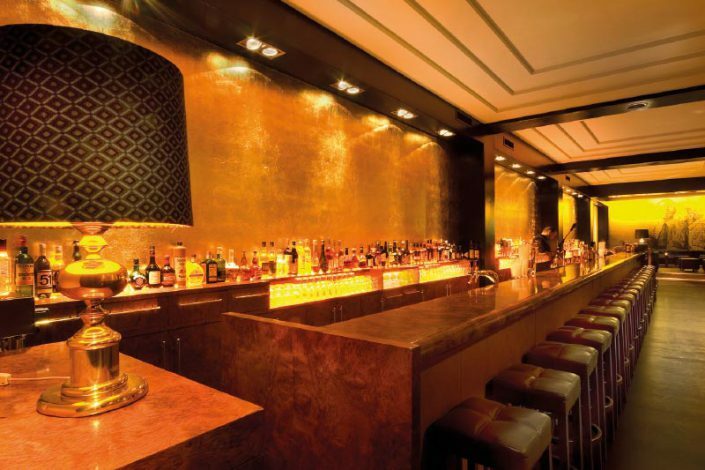 David Wiedemann is the owner of the legendary Reingold bar in Berlin, Head of the Sage Cocktails Barschule Berlin and a qualified expert with a strong tendency to perfection when it comes to exceedingly good cocktails. Put all ingredients in a copper mug filled with ice, stir gently and add four slices of fresh cucumber. 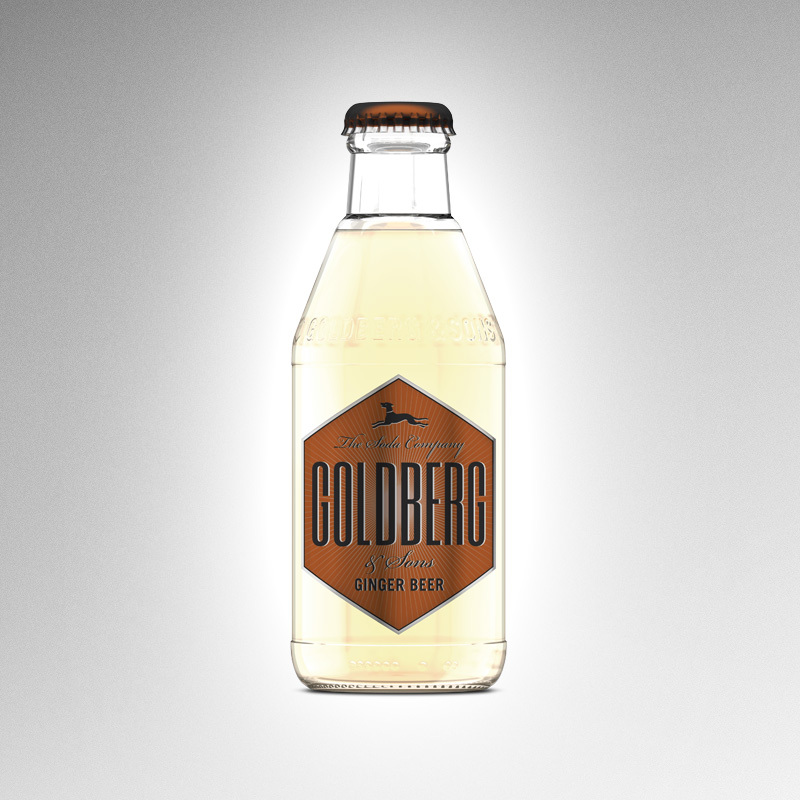 Top up with GOLDBERG GINGER BEER and sprinkle with the essential oils from the orange peel. 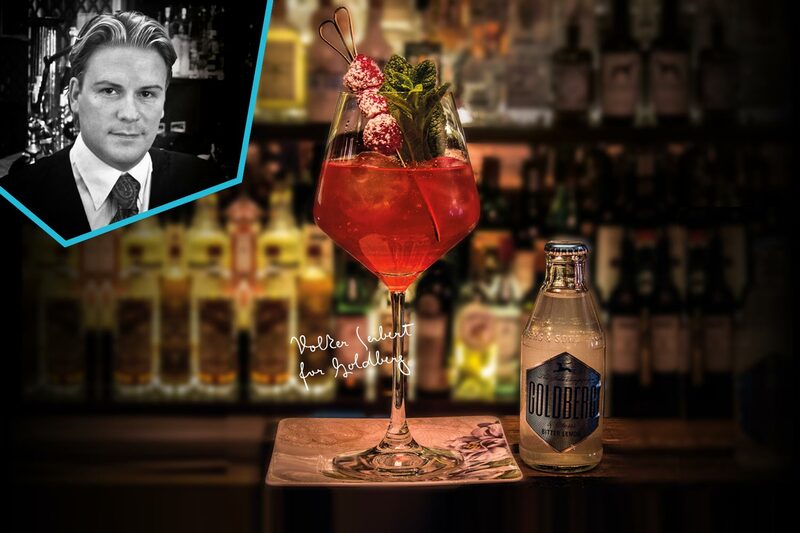 Lukas Motejzik, manager of the Zephyr Bar in Munich, is the 2017 Mixologist of the Year. There is no doubt that the head barman, who has won many awards, is currently one of the best practitioners of the art of mixing and barkeeping anywhere in the world. 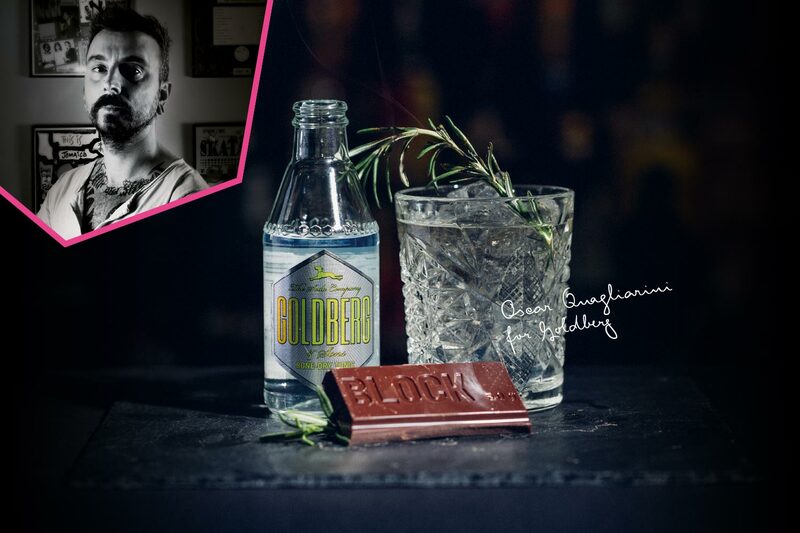 Put all ingredients into a highball glass filled with ice, stir gently and top up with GOLDBERG SODA WATER. Sprinkle the drink with the essential oils from the orange zest. Finally, garnish with a cinnamon stick, applying a gentle flame and allowing the aromatish vapour to diffuse over the drink. Mo Kaba is the owner of the Guts & Glory bar in Karlsruhe. 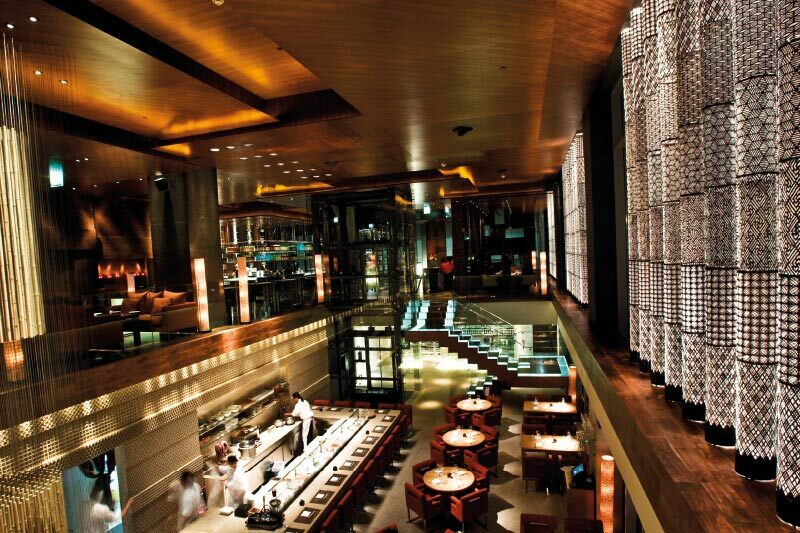 Besides his infectious enthusiasm behind the bar, he also contributes a wealth of inter- national experience. In a short space of time, he and his location have made it into the Top Ten of German bars – with passion, commitment and an instinctive feel for the right tastes. 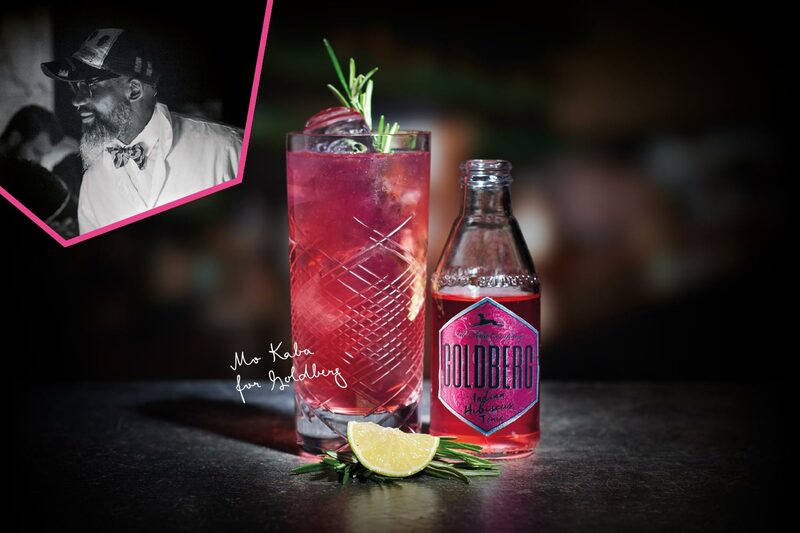 Put all ingredients in a mixing glass and stir gently, then strain into a highball glass and top up with GOLDBERG INDIAN HIBISCUS TONIC. Garnish with rosemary, et voilà: Le cocktail “Liquid Rails”. 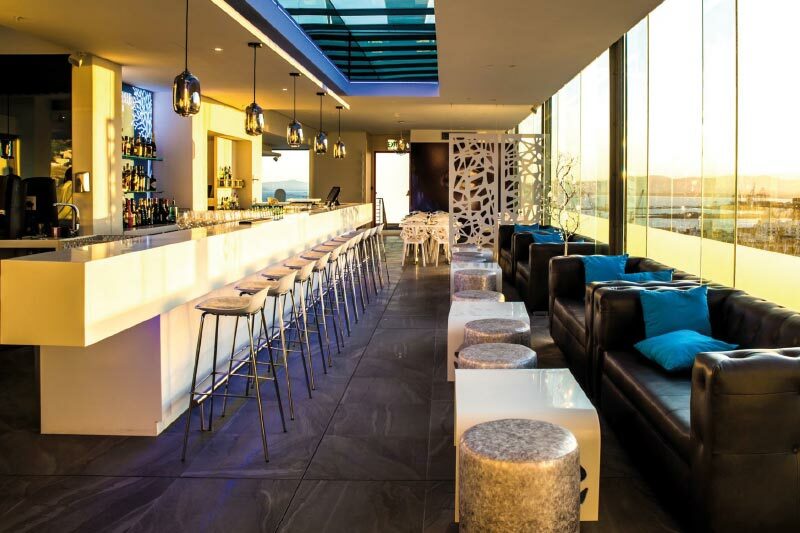 Jimmy Barrat is not just a mixologist of international renown, nalist at the 2012 World Championships and Head Barkeeper at the famous Zuma Bar in Dubai. 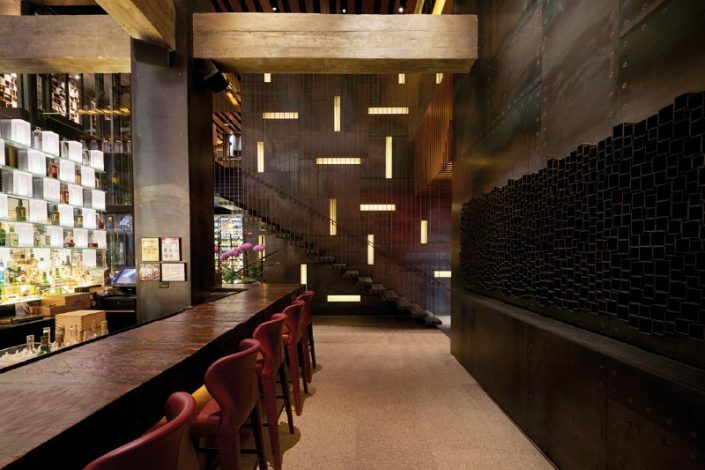 His name is associated with unique creations, and his unmistakable avour compositions have earned him recognition as one of the bar scene’s best-known protagonists. An exotic, smooth and floral interpretation of a regular G&T. Built over cubed ice. GOLDBERG and its strong portfolio are already firmly established in countless top outlets. 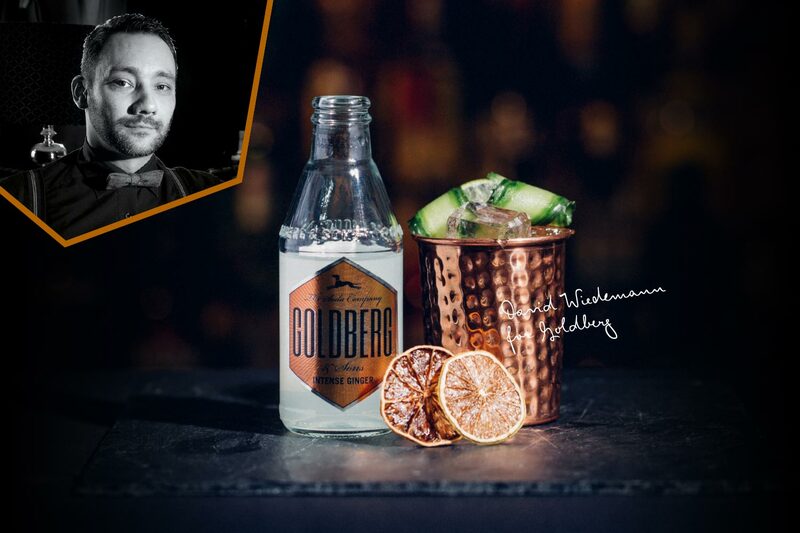 Internationally famous bartenders rely on the outstanding quality of GOLDBERG´S distinctive bitter lemonades to create their delicious signature drinks all over the world. 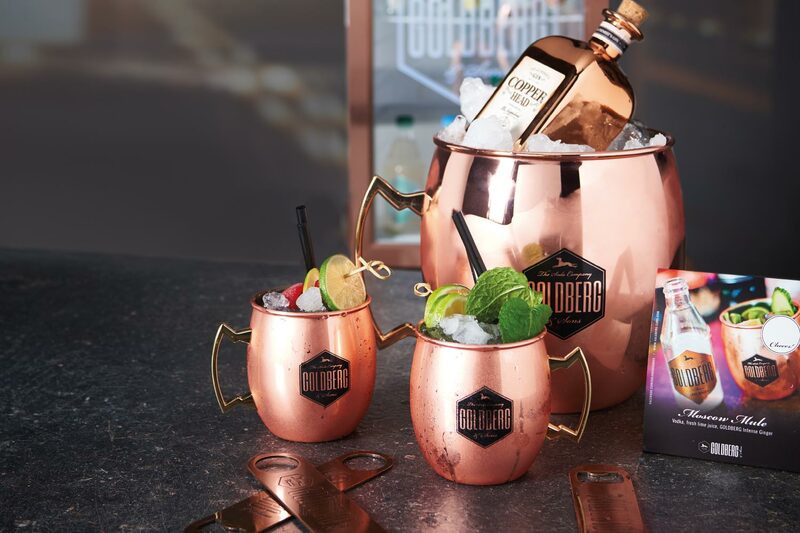 GOLDBERG premium mixers are at home wherever the action is – in good bars in every metropolis. Efficient, high-quality bar tools round off a stylish GOLDBERG performance. 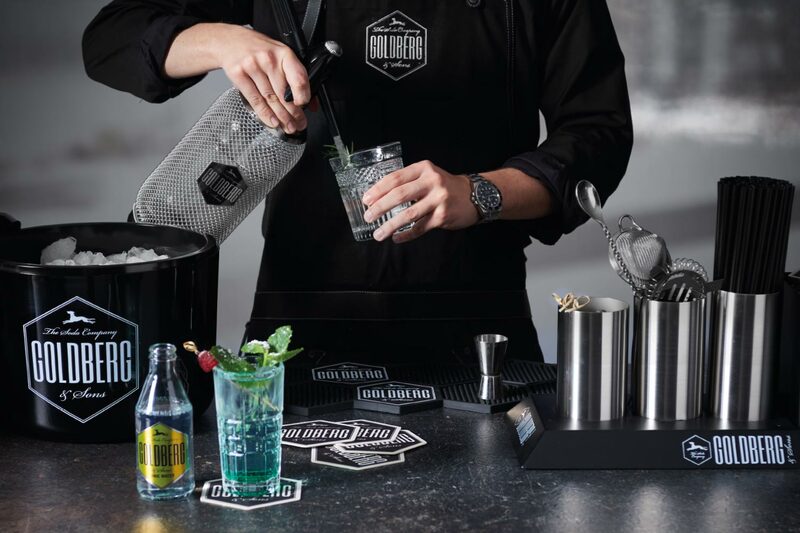 GOLDBERG essential bar equipment paves the way for perfect drinking pleasure from the opening of the bottle (bar blade) to final presentation and serving (coaster). If you have any questions about GOLDBERG, do not hesitate to send us a message. We look forward to your contacting.